Wilkerson began running in eighth grade and has been running ever since. He ran both cross country and track at Mountain Brook High School in Birmingham, AL and Furman University in Greenville, SC. Upon graduating from Furman, Wilkerson continued his running career with Furman Elite up until the 2016 U.S. Olympic Team Trials - Marathon. After the 2016 Trials, he moved to The Woodlands, TX to take a job with SOS Hydration where he ran with Team Green Running. This past March, Wilkerson moved to Atlanta and joined Atlanta Track Club Elite, where he's training for the 2020 Olympic Team Trials and continuing his career with SOS Hydration. 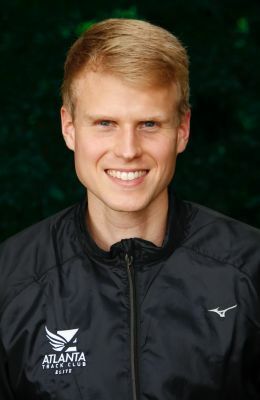 Since joining Atlanta Track Club Elite, In May of 2018, Wilkerson finished seventh in the USATF Half Marathon Championships. Wilkerson has qualified for the 2020 U.S. Olympic Team Trials - Marathon.